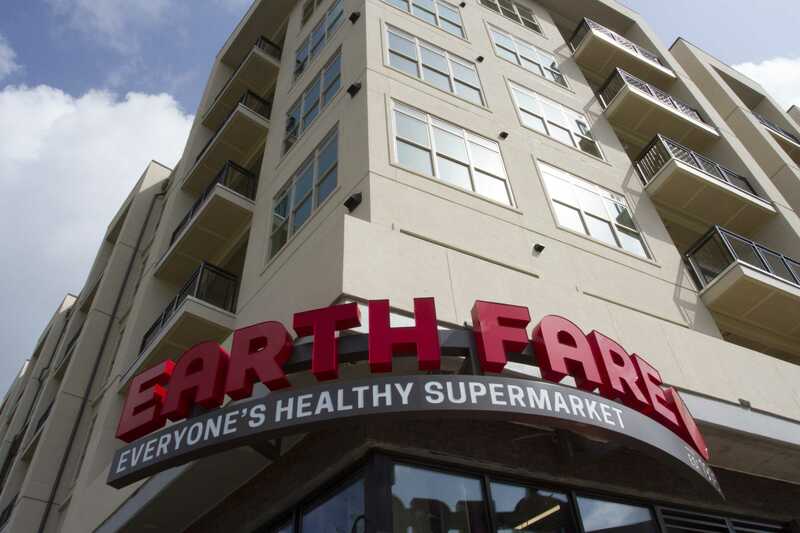 Ground-up organic grocery store, located on the first floor of a 7-story apartment building. Energy compliance calculations and submittals. Design of prefabricated powerwall system for power distribution. Daylight harvesting lighting control system design for continuous dimming control. 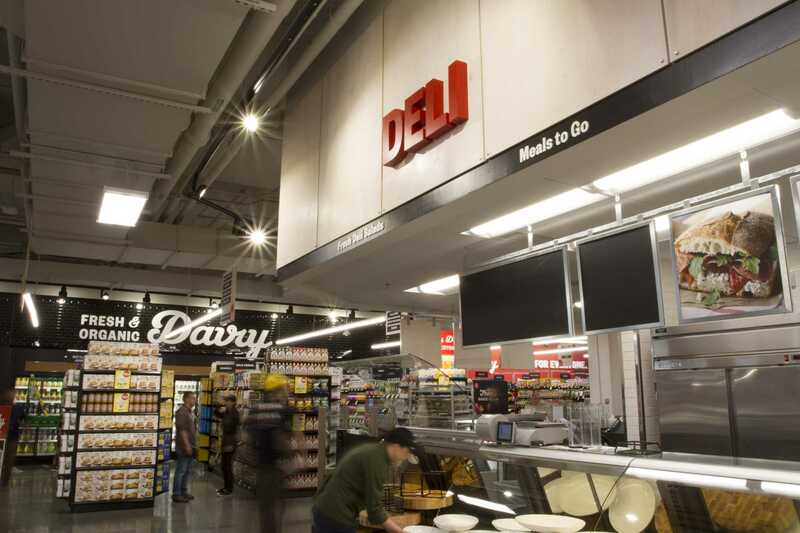 LED lighting fixtures were designed throughout the store. Centralized domestic hot water distribution. Kitchen hood exhaust and make-up air system design. Evaporative fluid cooler condenser water system design for store water-cooled refrigeration rack heat rejection. Centralized chilled water system for cooling and dehumidification with primary/secondary chilled water pump and variable flow distribution loop. Truck dock vehicle fume exhaust / ventilation system. With 6 floors of apartments above the store, conventional HVAC and refrigeration systems were not feasible at this location. 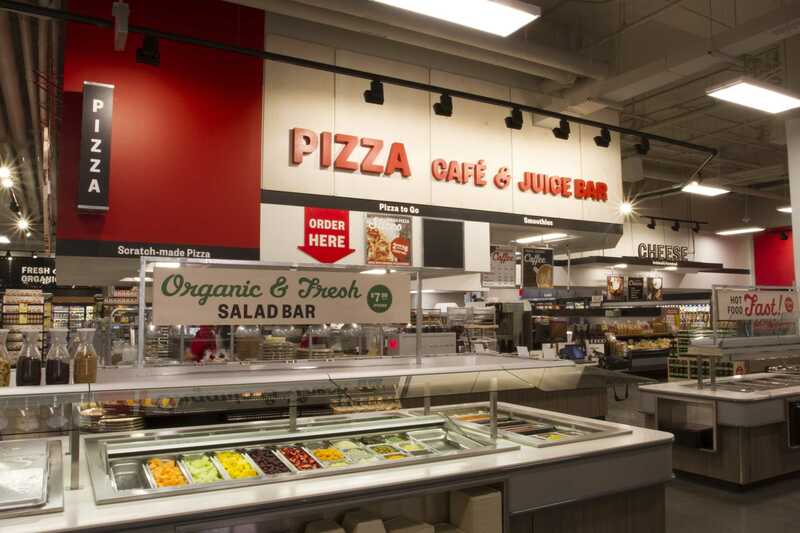 We worked closely with the shell building designer and general contractor to locate MEP and refrigeration equipment and to incorporate utility shafts up through building to accommodate ductwork, piping and all other required MEP utilities. 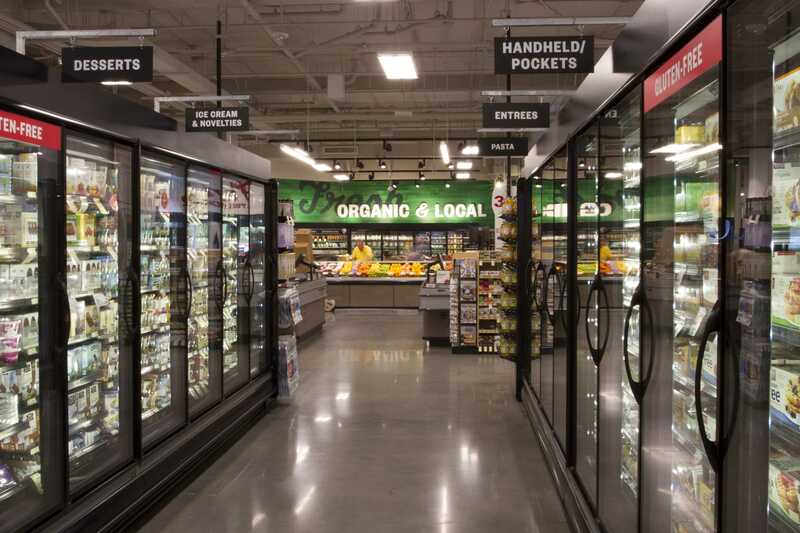 A roof-mounted air-cooled magnetic bearing chiller was designed to provide central chilled water to the store and to minimize sound and noise transmission to the apartments below. Indoor air handling units and fan coil units were designed at discrete locations on the 1st floor level to maintain store temperature and humidity levels. Two roof-mounted, closed-loop evaporative fluid coolers were designed to serve the store water-cooled refrigeration rack system. The fluid coolers were installed on elevated structural framing with restrained spring-isolators to minimize vibration transmission to the apartments below.